These Official Contest Rules may not be waived, modified, or supplemented except by the National Corvette Museum. No modification of these official contest rules shall be enforceable unless made by the National Corvette Museum. The raffle drawing shall be held at the National Corvette Museum in Bowling Green, Kentucky. All tickets must be received by the drawing date to be eligible for the drawing. Each ticket will be entered separately in the drawing. Each ticket is a separate and equal chance to win the Corvette or specified prize. Winner has 30 days to take delivery on the Corvette at the National Corvette Museum in Bowling Green, Kentucky, or forfeits all claims thereto. “Build Your Own” winners will have 30 days to select their options, based on ordering options available at the time, or forfeit all claims thereto. Due to postal regulations, raffle ticket stubs cannot be returned by mail for purchases over the Internet, through the mail or by telephone. When an order is placed, the system will complete the ticket by filling in the name, address, and phone number, and we will drop the ticket in the barrel at the National Corvette Museum. At the drawing, the winner will be contacted based on the name and information on the ticket. To pick up the vehicle, two forms of identification, one of which must be a photo ID, will be required to prove that this person is the person on the winning ticket. Purchasers do not need their ticket stubs for any reason. However, the stubs will be kept on file at the NCM. Purchasers buying via the website will receive an email providing their raffle ticket numbers and can also log in to their account to obtain their ticket numbers if desired. NCM is not responsible for undelivered, lost or rejected emails. If not present, winner notification will be made by telephone or mail. Tickets are assigned electronically and are generally sold in numerical sequence. Requests for a specific ticket number can not be accommodated. Participant must be at least 18 years old. Winner may be required to sign an affidavit of eligibility at the discretion of the National Corvette Museum. Winner is solely responsible for all taxes, registration, title, transfer fees, license duties, insurance and all expenses in claiming, registering and using the Corvette. This may include sales taxes and property taxes. The National Corvette Museum has no liability with regard to taxes and fees for the vehicle. Vehicle will not be modified by the NCM to meet specific local, state or country requirements. “Build Your Own” vehicles will be built for use in the U.S. without special modifications required for other countries. “Build Your Own” vehicles will be ordered through the NCM's authorized dealer. “Build Your Own” raffle options are limited to regular standard options. Limited editions or limited availability unique vehicle options are not available for “Build Your Own” raffle options. Excludes "Build Your Own Engine" option and customer selectable VIN option. NCM reserves the right to deny certain exclusive options. Options that are on constraint in GM’s ordering system will not be available for “Build Your Own” raffles. As required by IRS regulations, winner agrees to pay 25% federal income tax withholding to the National Corvette Museum prior to release of the Corvette. For cash prizes, 25% federal income tax will be withheld. National Corvette Museum will submit the taxes collected to the IRS. After the end of the year, the Museum will file a form W-2G with the IRS to report the value of the prize won and the taxes paid in by the winner. The winner will receive a copy of this also. Due to GM dealer regulations, all non-US residents will be required to accept a cash option, even when a specific vehicle has been offered as the prize. The following cash options will apply: 2019 models: Stingray Coupe or Convertible - $50,000; Grand Sport Coupe or Convertible - $55,000; Z06 Coupe or Convertible $70,000. For any other vehicles, the cash option will be determined by the NCM. Current GM dealer regulations do not allow a new US vehicle to be titled in the name and address of a non-US resident. Non-US residents are still eligible to participate and to win the cash prize. The above cash options apply for non-US residents only for pre-ordered cars. All non-US residents will be required by IRS regulations to pay 30% US income tax on the value of the prize (the cash option) unless the winner is a resident of specific countries exempted by treaty. This amount will be withheld from the cash prize and submitted to the IRS on behalf of the winner. After the end of the year, the National Corvette Museum will file a Form 1042 and 1042-S to report the value of the prize won and the taxes paid in by the winner. The winner will receive a copy of this also. In the event a unique Corvette was lost, damaged, destroyed, or otherwise not available, National Corvette Museum’s liability shall be limited to refund of ticket price to participants. National Corvette Museum’s liability for any other claim is limited to refund of ticket prices. Winner agrees to the use of his/her name, address, photograph or videotape likeness and statements for publicity purposes by National Corvette Museum, and agrees to sign a publicity release without any further compensation. 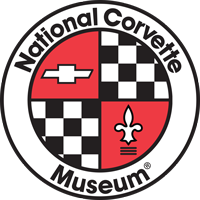 National Corvette Museum reserves the right to cancel this contest at any time, in which event its liability is limited to refund of ticket prices to participants. Model year and vehicle options advertised are based on availability. Ticket sales to National Corvette Museum employees, board members and their immediate families are prohibited. Immediate family includes spouse, children, and children’s spouse. Any person who engages in conduct designed to corrupt the outcome of a charitable gaming activity with the purpose to defraud, or knowing that he is facilitating a fraud, is guilty of a Class D felony. THIS CONTEST IS SUBJECT TO ALL APPLICABLE INTERNATIONAL, FEDERAL, STATE AND LOCAL LAWS, AND IS VOID WHERE PROHIBITED, TAXED, OR OTHERWISE RESTRICTED. Effective 1/15/10 Washington state does not allow its residents to purchase raffle tickets online or by phone. All proceeds benefit the National Corvette Museum, a non-profit foundation: Kentucky Charitable Gaming License Number ORG0000854. Subscribe by entering your email address and clicking the "Subscribe!" button.